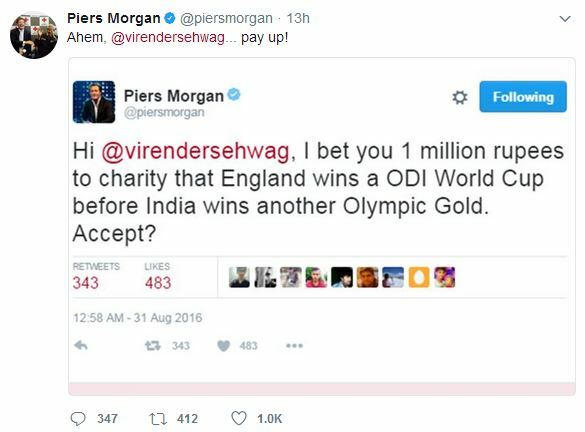 One would think Piers Morgan would learn his lesson after acting like a buffoon and even paying for it, but good sense does not seem to find him. 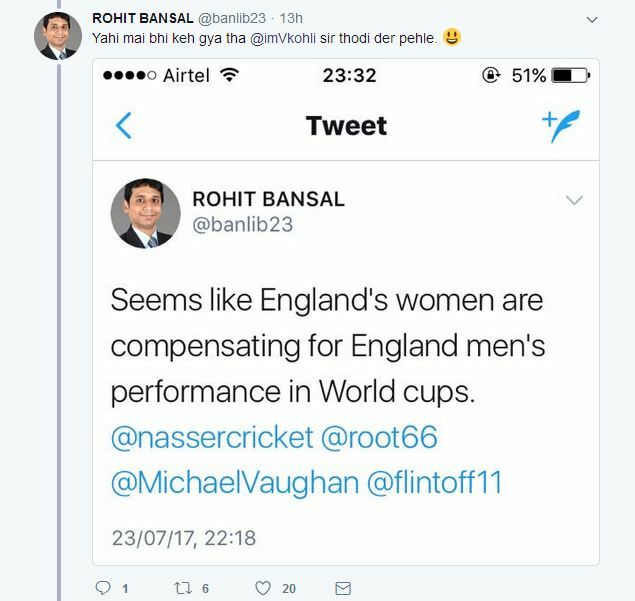 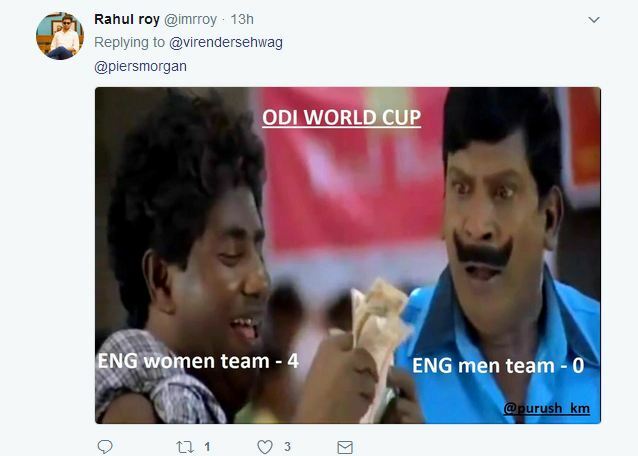 This time, Piers Morgan chose to poke fun at the Indian Women’s Cricket Team’s loss yesterday, and Virender Sehwag gave a fitting response. 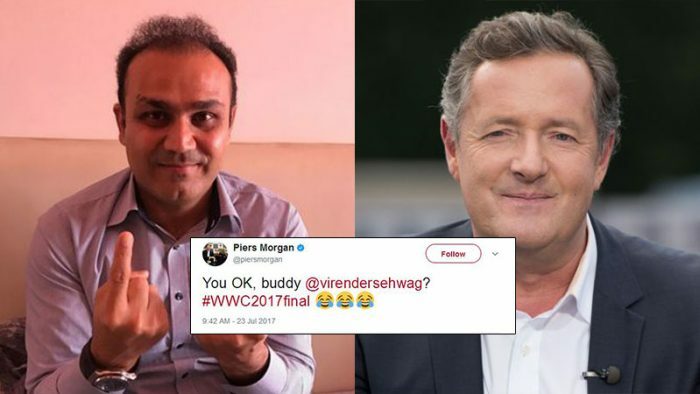 Piers Morgan and Virender Sehwag have developed a history of verbal sparring on Twitter, and Sehwag has pretty much always been the winner with his witty replies, although this time, he chose to give a resilient yet humble reply. 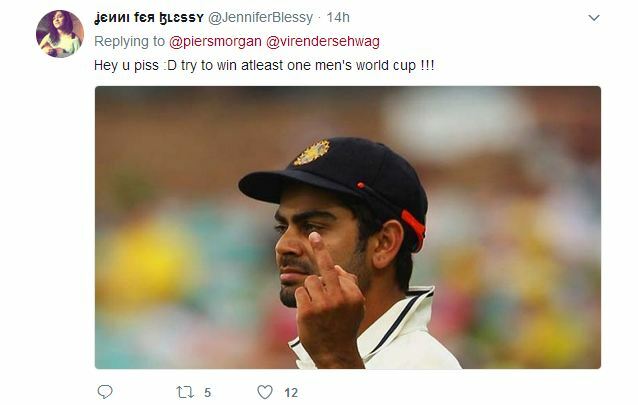 Other Twitter users were not so forgiving though. 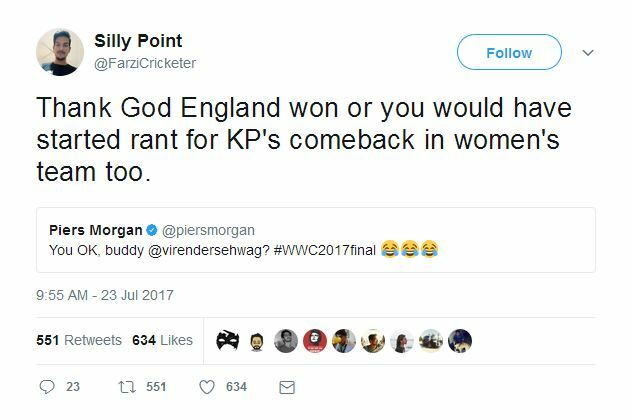 Piers Morgan once again was the recipient of tweets that reminded him of England’s lack of success at the World Cup and lots of other things. 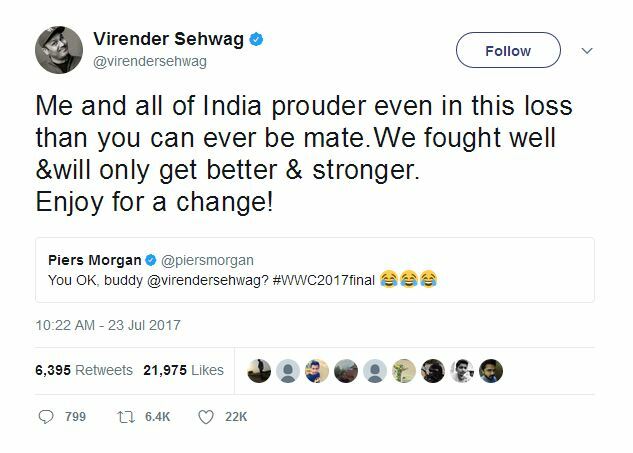 He also holds some vague misconceptions about a bet that Virender Sehwag never agreed to. 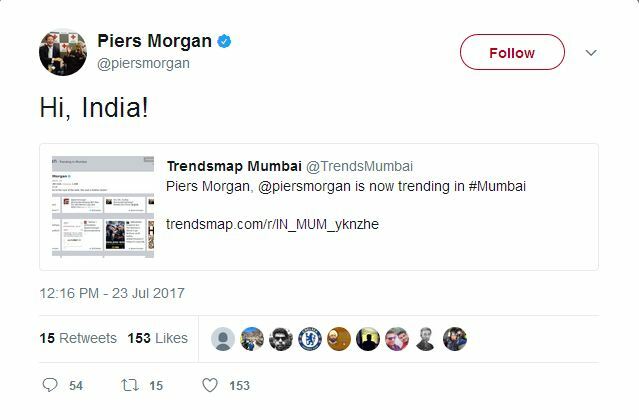 And Piers Morgan began to trend owing to his asinine tweet, which he appeared to gloat about. 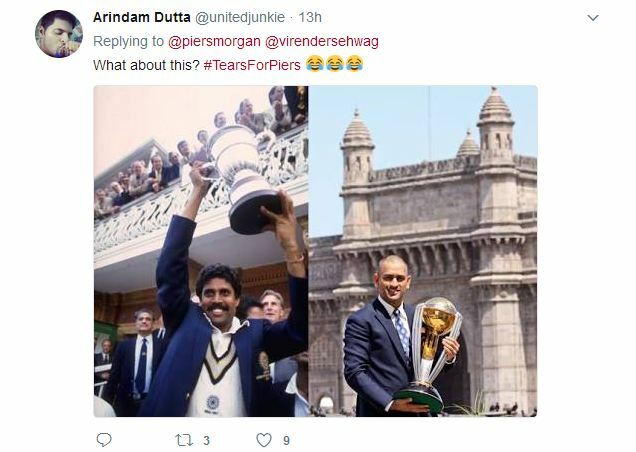 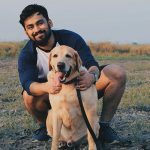 I guess it’s safe to say, he won’t be in the mood to mess with Virender Sehwag or any Indian Twitter users anytime soon.